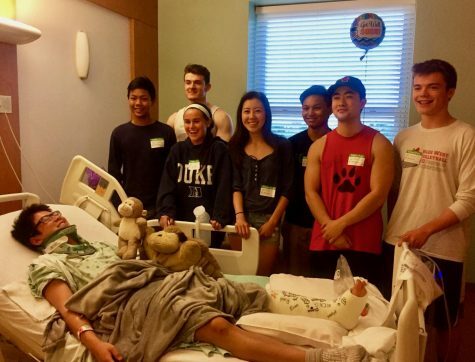 Shimabukuro being visited by his swim teammates in the hospital. As the swimmers take their mark they hear a beep. That beep signals senior Jack Shimabukuro to dive into the pool for his race. Shimabukuro is a four-year varsity swimmer and now captain of his team. Outside of school he loves to spend time with his friends, enjoy new foods, and trash talk his family members in card games. Looking at him sprint down the pool, one would never guess that just over a year and a half ago, he was hit by a car. The sun was blaring heat beams on Shimabukuro while he was riding his bicycle home from his first day of lifeguarding at Skokie Park District on June 1, 2017. Home seemed so close as he stopped at a crosswalk on Lincoln Avenue. Three cars, lawfully, stopped for Shimabukuro, and he began to bike across until one car swerved around and hit him. Mere seconds later, Shimabukuro was seen ten feet away from the car, lying on the ground. 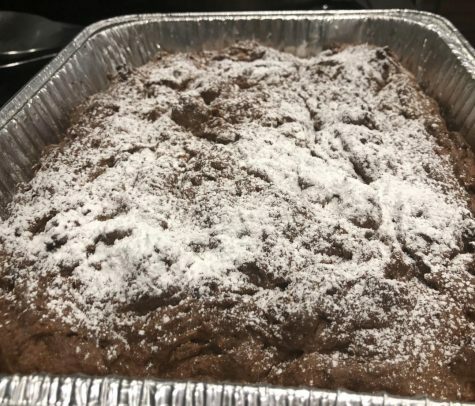 “I was biking home without a helmet, which I don’t recommend, and I was about to cross a crosswalk, which was on a four lane street and the two cars on the far side stopped for me, and the car closest to me stopped, so I thought I was in the clear, but someone swerved around the first car and hit me around like 40 mph and then I hit the windshield, broke the windshield and then she stopped and I flew off the car for ten feet and skidded and burned my back,” Shimabukuro said. Immediately after the accident, Shimabukuro can’t recall anything that happened until he woke up in the ambulance. “Apparently, I was conscious the whole time and walking around, and other people made me sit down and lie down. I was walking around with a broken ankle and a broken neck,” Shimabukuro said. He was sent to the closest level one trauma center which happened to be St. Francis hospital. His first two memories were polar opposites when it comes to the feelings evoked. Shimabukuro with his friends and family at the hospital. Longtime friend and fellow senior Mason Schmidt recalls the night he found out about Shimabukuro and went to go visit him. “It was like 2 in the morning and my doorbell rang and I was really pissed off because I thought that it was my friends playing a joke on me. I called my friend Tristan, and he said ‘It’s an emergency, come out,’ so I came outside and he told me what had happened and we went to the hospital,” Schmidt said. Everyone was just relieved and grateful to see him alive and functioning, despite his injuries. Close friend and senior Lauren Brace remembers how she felt when she finally got to see him. “I was really relieved. I knew I was freaking out and that if I saw him I’d be a lot better. Even though seeing him was really hard because he was in that much pain and discomfort, it was really reassuring to see him talking and awake and alive,” Brace said. Schmidt agrees with Brace acknowledging that being able to see offered some piece of mind. “It was terrible to see his mom because she was very upset, but after I saw Jack and I knew that he was okay, I felt better after seeing him,” Schmidt said. Shimabukuro’s parents were initially told that their son had just broken his ankle, so when they learned that there was more to his injuries, the information proved difficult to cope with. Plenty jest or dream about almost getting hit by cars, and to Shimabukuro, it was almost comical in the beginning. But once the situation settled in, it was hard to ignore the gravity of the issue. 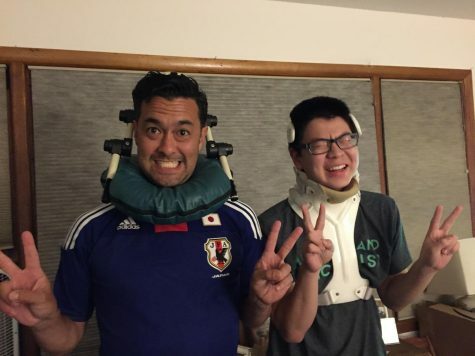 The injuries Shimabukuro sustained inhibited his walking abilities and forced him to have to don a neck brace for almost five months. He was required to wear it at all times, even to bed, with the exception of a ten-minute shower every day. This on top of his ankle injury posed a great challenge to him. His friends and family had concerns about Shimabukuro, but it was quickly apparent that he was improving. “The first couple of days that he was home, he was having a real hard time getting around on his crutches, so I was really scared that his movement was going to be impacted, but after a couple of weeks he looked a lot better,” Brace said. Despite the acute injuries, what seemed to challenge him the most was the threat his injuries had over his independence. As an independent person, having to rely on someone else for your everyday needs is a tough obstacle to overcome. This on top of the sense of isolation Shimabukuro felt lying alone while his friends traveled the world and did typical summer activities seemed to be the worse part. Netflix and his loved ones played a crucial role in helping him get through it all. Shimabukuro visiting a friend’s lake house despite his injuries. “Acting like everything was okay, for at least short periods of time, I think helped him get through it,” Schmidt said. 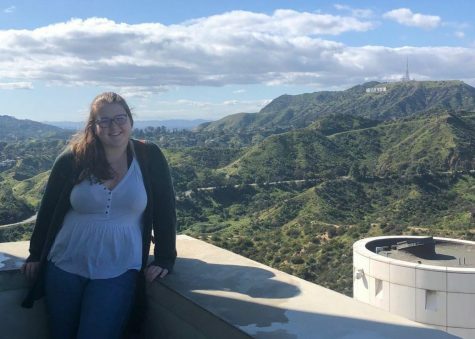 “Netflix [helped me get through it] and a lot of my friends and family came to visit too, so that was really helpful to have a change of pace and lots of Netflix. I got a lot of good food [as well] because a lot of people donated to my family to help out,” Shimabukuro said. While many are anxious for their first day of school and whether or not they’ll like their teachers, or if they’ll have friends in their classes, Shimabukuro had other things to worry about. “I was still in my neck brace that covered the upper half of my body, and I had to carry around a rolling backpack and that was definitely an adjustment, just because I was very self-conscious not only of my neck brace, but also my rolling backpack. But my friends made it a good adjustment,” Shimabukuro said. Shimabukuro and his uncle rocking neck braces. Most kids would cringe at the thought of having to go to school in the situation Shimabukuro was in, but the reactions by his teachers and fellow peers proved to be better than he at first thought. 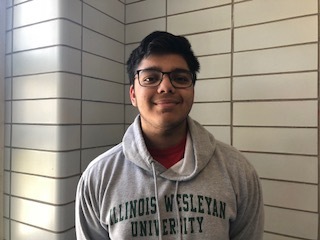 After the first initial challenges and anxieties that came with starting off junior year in a neck brace and a rolling backpack, it was “just feeling like I’m lagging behind in everything” that ultimately was the lasting impression of his time in school. Shimabukuro was finally relieved from his neck brace in early October, and the boys’ swim season began in mid-November. 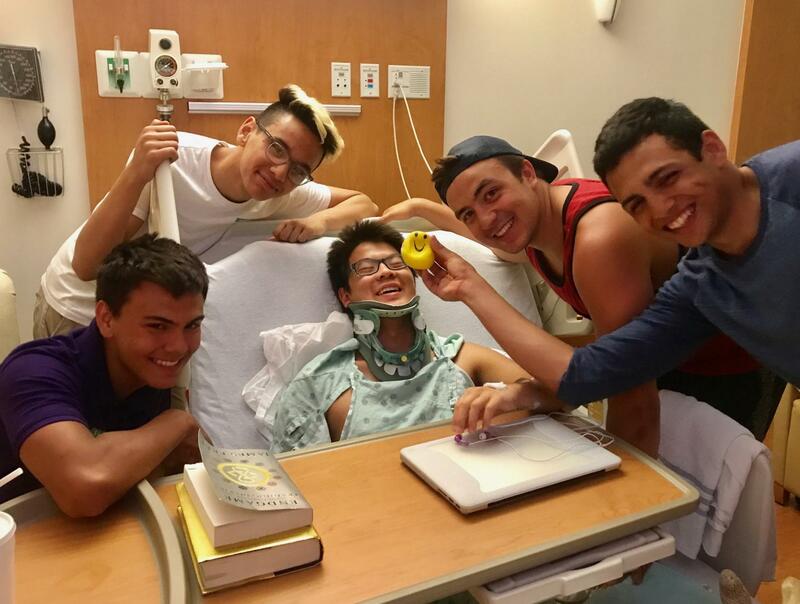 While his neck still had to gain strength after removing his neck brace, he was able to start off swimming at the same time as everyone else, in surprisingly better shape than one would think after getting hit by a car. “I started off better than I thought I would, like I wasn’t as tired as I thought I would be, but it definitely was very hard to come back, and I definitely wanted to quit most of the time, but because of my mom and my friends, they motivated me to keep on going,” Shimabukuro said. The day of his first meet was the Early Bird varsity invite. The stands were lined with friends and family all holding up signs displaying “Jack is Back,” and many supporters came out to see him and how he had made such a miraculous recovery. “I knew that something was going to go down before my first race, but when I came up after my first race and saw all the signs, I was happy and appreciative but also really embarrassed, but it was a good time,” Shimabukuro gave his take on the whole situation. He managed to continue to hold his spot on the varsity swim team, after having a neck brace on just a month prior. This was an incredible feat in itself, and not only that, but he managed to end the season at the same place he was in his sophomore swim season. This year, Shimabukuro’s hard work to recover was even more apparent after his first meet: the Early Bird varsity invite this past Saturday. Coach Daniel Vanderjeudgt is impressed by how his hard work is paying off. “He is already faster than where he finished last year. Jack has worked hard to get to the point he’s at and he’s starting to see the benefits in the pool,” Vanderjedugt said. While he made it seem easy, Shimabukuro’s hard work and dedication are how he has managed to recover and surpass his speed. Swimming is a whole body workout. Even breathing requires a lot of neck involvement, and so Shimabukuro had to adjust his swim technique accordingly to work through his injuries. “I still can’t turn my neck as far as I could before the accident, so that’s been an adjustment so I have to rotate my body a little more and that throws my stroke off a little bit, and once in a while my ankle hurts so I have to cater to that with kicking harder with the other foot,” Shimabukuro said. If you can overcome a car crash, everything else seems less intimidating. Shimabukuro has learned a new outlook on life that he can now take with him in everything he does. His recovery is incredible, but anyone who knows Shimabukuro would’ve known that if anyone can get through that kind of situation, it’d be him. “I’m glad that he’s recovered. I knew he would [recover]. I figured he’d be fine. I knew Jack, I knew he’d be fine,” Schmidt said. “I’m really proud of him. 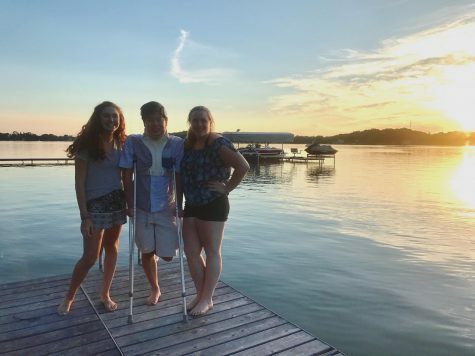 He could’ve easily sat there and said ‘Oh, I’m injured, I’m not going to be able to get back to the sports and activities that I enjoy,’ but he really worked hard and got back to all his activities, he’s the varsity swim captain. He never really gave up and I’m proud of him for that,” Brace said. After surviving wearing a neck brace, Shimabukuro sees that one shouldn’t care what other people think as much. “Don’t be so worried about what people think and your image, and surround yourself with people who you know care about you, and you care about them, and that’s more important than trying to fit in or assimilate,” Shimabukuro said. As for his injuries, he is mainly healed, but there is the possibility for future repercussions. “My neurosurgeon said that I could possibly when I’m older, like 40s or 50s, have pretty bad arthritis in my neck, so recently I’ve started physical therapy to help work it out a little more,” Shimabukuro said. Everyone is just glad that he’s alive and doing so well and that he is able to now focus his worries on typical senior things- like college for example. One large takeaway from his accident is his future plans for college. Shimabukuro is looking at becoming a physician’s assistant in the future because he hopes to make true connections with patients while helping them out. His top university choice is the University of British Columbia in Vancouver, CA. “They have a really good medicine, healthcare program up there and after being stuck here for a whole summer and living most of my life here, I realized that I want to explore the world and see all that it has to offer, so I think Vancouver would be a perfect choice,” Shimabukuro said. Great article! Interesting and a real feel good story. Well written and engaging. Keep pumping out great stories like these!